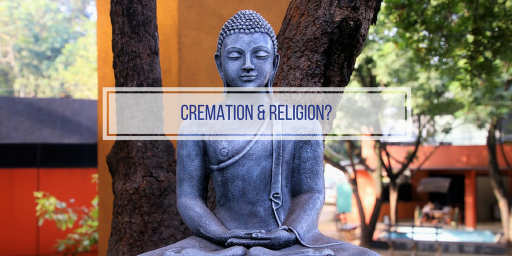 How does your religion feel about cremations? Cremations are becoming more widespread in the United States and in many other parts of the world, namely Japan, Hong Kong, Taiwan, European nations, South Korea, Canada, and Australia. However, many religions and cultures have strict customs, beliefs, and traditions when it comes to how they handle the deceased; the ceremonies around remembering the dead; and whether they use incineration to turn a body to ashes following death. Some religions forbid cremation. Other religions mandate cremation. While others are flexible on the subject. Here are some major religions’ perspectives on cremation. America has been known as a Christian nation for many years. According to a Pew Research study from 2014, 70.6 percent of the adult population in the United States identified themselves as Christians. Historically, Christians have been mostly opposed to the practice of cremation. However, the popularity of this practice has sharply risen over the last decade, with now approximately 25 percent of nationwide deaths ending in cremation. Those percentages are much higher in states, such as California and Florida, that are shifting away from a traditional Judeo-Christian emphasis placed on the actual body and moving towards a Hindu or Greek emphasis on the soul. From incineration to mummification, the cultures that surrounded ancient Judeo-Christian followers included a number of different death rituals in tribute to the deceased. However, the Old Testament Jews clearly preferred burial, which was often done in a cave alongside family members that had already died. These practices were recorded, but there is no clear Old Testament law that outlines burial regulations. It’s important to note that death by means of burning was often a punishment for offenders of particularly heinous crimes, even though the idea of burning after death is not directly addressed in scripture. New Testament Jews and Christians also followed burial practices, but likewise the New Testament does not have guidelines on how to handle the dead. Christianity spread out into many nations, and even became the official religion in the Roman empire, and the practice of burying the dead spread along with it. In 1870, an Italian professor named Brunetti created a modern cremation apparatus, which brought up the concern about cremation practices in respect to Christianity. About a decade and a half later, in 1886, the Catholic Church responded by issuing an official ban on cremations. Despite the growing popularity of cremation in Europe by 1892, Catholic ministers were excused from participating in cremation practices. Traditional Orthodox Christians are still against cremation. On the other hand, the Roman Catholic church dropped its ban in 1963. In 1969, they decided to allow funeral rights for those members that chose cremation. Even though the practice is allowed, Catholicism still favors burial, and is more comfortable performing funerals that take place before the actual cremation. As mentioned above, in the past, the Catholic Church did not support the practice of cremation. Nonetheless, it is now considered acceptable if a Catholic chooses to be cremated. Funeral Mass is still a traditional practice carried out by the Catholic Church, and for that reason, the preferred custom is to have the body cremated following the Funeral Mass. Interestingly, the Catholic church has certain beliefs about the cremated ashes, and they encourage them to be buried, sent out to sea, or entombed in a columbarium. They highly discourage the spreading of cremains, or ashes. Lutherans are accepting of cremation, and the choice to cremate will pose no interference for a traditional Lutheran ceremony. Methodists are accepting of cremation, and this practice will not interfere with a traditional Methodist funeral. Episcopalians are accepting of cremation, and the practice does not interfere with a traditional Episcopal funeral. The Eastern Orthodox Church prohibits cremation. While there is not a clear statement against the practice of cremation, Presbyterians commonly do not support the practice. Their preference is that the body is buried in the ground, intact. Baptists are accepting of cremation practices. The funeral can be held either before or after the cremation has taken place. Cremation is not prohibited, nor encouraged in the Mormon religion. The Church has a general preference that bodies are buried. The Quaker religion has no stance either for or against the practice of cremation. Both burial and incineration are acceptable. Cremation practices are forbidden for Muslims. In Buddhism, cremation is acceptable. If cremation is chosen, monks are supposed to be present for lead chanting at the crematorium. Family members may perform the lead chanting if no monks are present. Once the cremation is completed, the cremated ashes may be gathered by the family the next day and can be placed in a columbarium, scattered at sea, or stored in an urn garden. Cremation rules for Jews may vary according to the level of orthodoxy of the deceased. Cremation is not acceptable for a traditional Orthodox Jew, and instead, the body is supposed to be kept intact and buried in the ground. Even though most Conservative Jews are against cremation, a Conservative Rabbi can perform a funeral service for one who has been cremated, but the rabbi will typically not be present for the interment of the cremains. Cremation is becoming increasingly more common among Reform Jews, and these rabbis typically perform the funeral and interment of ashes. Nearly all Hindus that pass away will be cremated, except for children, saints, and babies. Storing cremated ashes in an urn or columbarium are no longer the only options loved ones have to commemorate the memory of their loved ones. Heart In Diamond is a company that can turn a loved one’s cremains into a diamond, which can be made into a cremation ring, cremation necklace, or another type of cremation jewelry.